Human immunodeficiency virus (HIV) avoids detection by the immune system in an unexpected hiding place: the same cells that are meant to attack it, new research suggests. 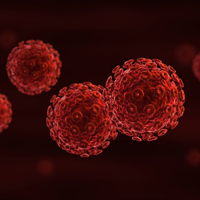 Sarah Palmer, PhD, a deputy director, Westmead Institute for Medical Research, Sydney, and her team have confirmed the specific immune memory T cells that harbor latent HIV. The small bits of hidden virus can replicate and cause damage after years of antiretroviral therapy. The researchers zeroed in on the so-called effector memory T cells after creating a genetic sequencing test for HIV and studying cells from 6 people with the virus who were on long-term treatment. They published the findings Oct. 17 in Cell Reports. The discovery was a surprise. Memory T cells are important because they remember previous infections and how to defeat them. The cells provide life-long immunity against diseases such as measles or chicken pox, for instance. “There are several subsets of these memory T cells including central memory T cells and effector memory T cells,” Palmer explained. Prior research has focused on central memory T cells as the receptacles for replication-capable HIV. Palmer, an associate professor in the medical faculty at the University of Sydney, found instead that effector cells appear to be the reservoir for hidden HIV. “We were not expecting to find that effector memory T cells contain the highest concentration of replication-competent virus,” she said. The researchers noted that even though only about 5% of HIV is genetically intact, this small proportion of the virus prevents the immune system from fully destroying HIV and eliminating it from the body. “This virus inserts its genome into the body's memory cells and sits there quietly avoiding detection by the immune system,” she said. "HIV is really very clever. Essentially, it is hiding in the exact same cells within the immune system that are meant to attack it." If person suddenly stops taking his HIV treatments, the virus hiding in effector memory T cells would spring to life and start producing more HIV, Palmer said. Knowing where the virus resides will help scientists develop more effective therapies to target the persistent reservoir of HIV. The team is now planning longitudinal studies to determine how long the replication-competent virus persists in specific memory T cell subsets during anti-retroviral therapy. These studies also may identify cellular markers unique to these cells so new treatment strategies can be developed to eliminate the virus reservoir. "Now that we've identified where the replication-competent virus is hiding, we can start work towards targeting these cells with new therapies aimed at fully eliminating HIV from the body," Palmer said. The study, “Identification of Genetically Intact HIV-1 Proviruses in Specific CD4+ T Cells from Effectively Treated Participants” can be found in Cell Reports.